California lays it out for dealers and TrueCar. In the State of California, TrueCar is viewed as an autobroker and vehicles displayed and offered for sale on TrueCar websites are advertisements to the public and must comply with California law. According California to it appears that many facets of the TrueCar/Zag broker program fail to comply with California law and such non-compliance could expose both TrueCar and participating new motor vehicle dealers to legal liability and/or license action. In response to a large number of inquiries received from California dealer members, we requested outside legal counsel, Manning Leaver, Bruder & Berberich (who also authors the California Auto Dealer Advertising Law Manual), to research the occupational license status of TrueCar, Zag.com, Inc. and affiliates and opine on a variety of DMV licensing and advertising issues associated with the TrueCar program. Attached (after the jump) please find a copy of an Executive Summary of a Memorandum prepared by outside counsel. The Executive Summary identifies a number of problems with the TrueCar model that could expose participating dealers to legal and/or licensing liability. Dealers that participate in the TrueCar program, or other similar programs, should individually review such programs with your own legal counsel for legal compliance. Executive Summary of our memorandum to the California New Car Dealers Association in response to the Association’s request that we (1) review the occupational license status of TrueCar, Inc., and affiliates, Zag.com, Inc., Zag Automotive, LLC and Drive Your Dream (hereinafter collectively referred to as “TrueCar”); and (2) comment on potential occupational licensing and/or advertising issues associated with TrueCar’s brokering program and its websites. This memo is not intended, nor should it be received, as legal advice or a substitute for legal advice to California vehicle dealers. Dealers should consult with their own legal counsel for legal advice that may pertain to their situation. TrueCar is an autobroker and vehicles displayed and offered for sale on TrueCar websites are advertisements to the public and must comply with California law. It appears that many facets of the TrueCar/Zag broker program fail to comply with California law and such non-compliance could expose both TrueCar and participating new motor vehicle dealers to legal liability and/or license action. Dealers that participate in the TrueCar program are required to sign a Zag agreement which, among other things, requires the participating dealer to pay Zag a fee of $299 per new vehicle and $399 per used vehicle for each vehicle sold to a consumer through the TrueCar program. Vehicles offered for sale by new motor vehicle dealers that have signed an agreement with Zag are advertised on the TrueCar websites through use of Price Protection Certificates that are displayed on TrueCar websites and are downloadable by any web user. Zag invoices participating dealers monthly for each vehicle sold and requests participating dealers to remit payments to TrueCar. dealer, for another or others. The manner in which TrueCar operates clearly falls within the Vehicle Code definition of “brokering”. TrueCar arranges and effectuates vehicle purchases for consumers, assists consumers in the purchasing process, obtains negotiated prices for consumers from selling dealers, and obtains a fee for its brokering services. TrueCar websites make the following statements to the public: “We secure a price guarantee for you.” “We provide you with a custom certificate that guarantees your deal.” “We search your local area to find dealers with no haggle prices.” TrueCar’s operation is unlike non-broker companies (e.g., Edmunds, Kelly BlueBook, etc.) which operate websites that contain generic vehicle and price information and may generate simple contact leads for dealers to pursue. 1. The Statements and Information on the TrueCar Websites are Advertisements under California Law: Whether statements, representations, and other content contained on TrueCar websites are “advertisements” governed by the California Vehicle Code and DMV Regulations depends on whether they are “intentionally communicated to the public generally for the purpose of arousing a desire to buy or patronize”. 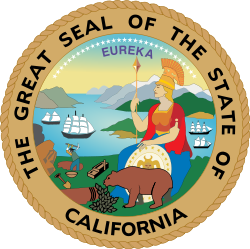 [See section 255.00 of Title 13 of the California Code of Regulations.] It is our opinion that enforcement agencies will most likely take the position that most of the content contained in TrueCar webpages are advertisements which must comply with California law. This assessment is made because the TrueCar websites are available to the public by simply entering the TrueCar website addresses into one’s web browser (much like web browsing an e-version of a newspaper). Some of TrueCar’s subsequent webpages are only accessible after entering a name, address, telephone number, and email address. However, any member of the public can do so and entering fictitious information will also permit an internet user to access those subsequent webpages. Moreover, it appears that an unlimited number of members of the public can enter a name and email address and obtain a Price Protection Certificate to use with the same dealer with regard to the same vehicle each consumer desires, lending more weight to the public nature of the advertising. TrueCar has initiated a national media campaign to drive members of the public to its websites for the purpose of effectuating vehicle sale transactions – for which it receives a fee of $299 or $399 from the selling dealer per vehicle sold. It is doubtful that any enforcement agency will take the position that TrueCar’s synchronized media campaign and websites are not intentionally communicated to the public generally for the purpose of arousing consumers to buy vehicles through its brokerage operation. For purposes of the discussion below and the conclusions concerning advertising law violations, we assume that representations and offers made on the TrueCar websites are advertisements made to the public generally. Also, as noted below, Business and Professions Code Section 17537.7 is an outright ban against invoice advertising and not subject to the to the public generally requirement of DMV Regulation 255.00. 2. Advertising Violations: The following are problem areas in the TrueCar advertising: Autobroker Advertisements: The Vehicle Code permits an autobroker to advertise its brokering services (e.g., its ability to arrange or negotiate the sale of a new vehicle) but prohibits an autobroker from advertising the price or payment terms of any vehicle. [See Vehicle Code Section 11713(b)(1)(A).] TrueCar websites violate this provision. Dealer Advertisements: Price Protection Certificates authorized by and containing the name of participating new motor vehicle dealers that are displayed on TrueCar websites will be enforced as advertisements against those dealers. Advertised Vehicles Must Be in the Dealer’s Possession: DMV regulations require that vehicles advertised must be in the dealer’s possession or available to the dealer from the manufacturer. If the vehicle is not in the dealer’s possession, the advertisement must indicate that and include an estimate of a delivery date for the buyer. [See Section 260.04(a) of Title 13 of the California Code of Regulations.] Vehicles advertised with Price Protection Certificates may violate this regulation. Pictures of Vehicles: Pictures of an advertised vehicle must be of the vehicle offered for sale. [See Vehicle Code Section 11713(s).] Many of the photos of vehicles on the TrueCar websites may have optional equipment (for example, upgraded rims or trim) not actually provided at the advertised price. Total Price: It unlawful for a dealer to advertise the total price of a vehicle without including all costs except specified taxes and charges. [See Vehicle Code Section 11713.1(b) and (c).] Advertisements on TrueCar websites do not appear to fully comply with this prohibition. whether they know of the advertised price or not. 3. Some advertisements on the TrueCar websites open the door for a violation of this statute. Incentive Advertising: It is unlawful for a dealer to advertise as the total price of a vehicle an amount that includes a rebate. [See Vehicle Code Section 11713.16(e).] A review of TrueCar websites indicates that some Price Protection Certificate advertisements show a “My Price with Guarantee” amount which includes incentives, but no disclosure of the vehicle sales price before the deduction for factory incentives. Dealers Are Liable for Advertisement on TrueCar Websites: A violation of one or more of the above-referenced laws constitutes grounds for the DMV to file an accusation to suspend or revoke a dealer’s license and a violation of most of the statutes is also a criminal misdemeanor. Aiding and abetting any person in the performance of any act that violates those statutes is also a violation. [See Vehicle Code Section 11700.3.] A violation of those statutes can also serve as a basis for a civil lawsuit for unfair competition and/or deceptive practices. Unfair Competition: The TrueCar brokering program also raises serious questions of unfair competition. If TrueCar and its participating new motor vehicle dealers are able to circumvent California’s brokering and advertising laws, compliant dealers are put at a competitive disadvantage. A big story at CES this year is OEM’s like Mercedes Benz opting to separate electronic design from overall vehicle design in future models because the connectivity technologies are moving on about a 2-year evolutionary cycle vs. the typical 7+ year cycle of automotive design and power plant technologies. A century later, dealers are being asked to change their game, or get off the courts. Don’t embarrass yourselves by getting blown away by the visiting team. Instead, realize your knowledge about the consumer automotive transaction far exceeds the value any TrueCar-like platform might offer, and step your games up and deliver it as a plausible proposition to the consumer of this age – the Information Age. And, didn’t your mother ever tell you – “don’t you come home without your ball, boy!” Step up to the plate, dealer community. Auto Retail Future is holding tryouts after school. All are invited to attend! I think Truecar should live up to the expectations of its consumer. Judging from the name itself, every transactions should be transparent and comply with the law. As a car broker they should give protection to their buyers..
TrueCar obviously didn’t do their homework! I can’t believe dealers are still on the product.